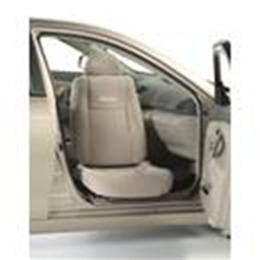 Bruno's driver or passenger Lower Vehicle solution provides easy access to an automotive seat. The seat power rotates out over the door sill, bridging the gap for a safe transfer onto the seat. Once you're on, the seat rotates back into the vehicle... and off you go!